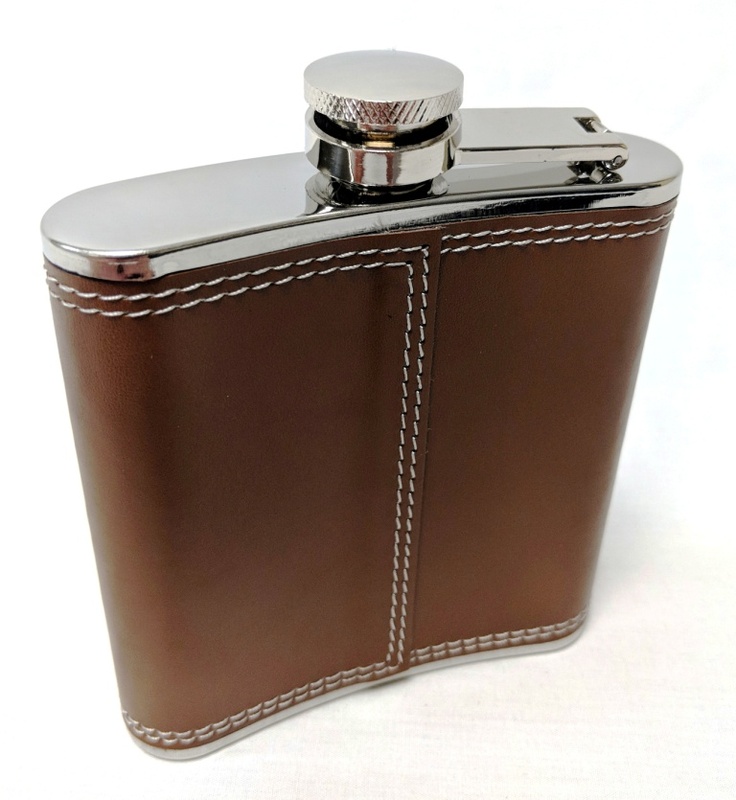 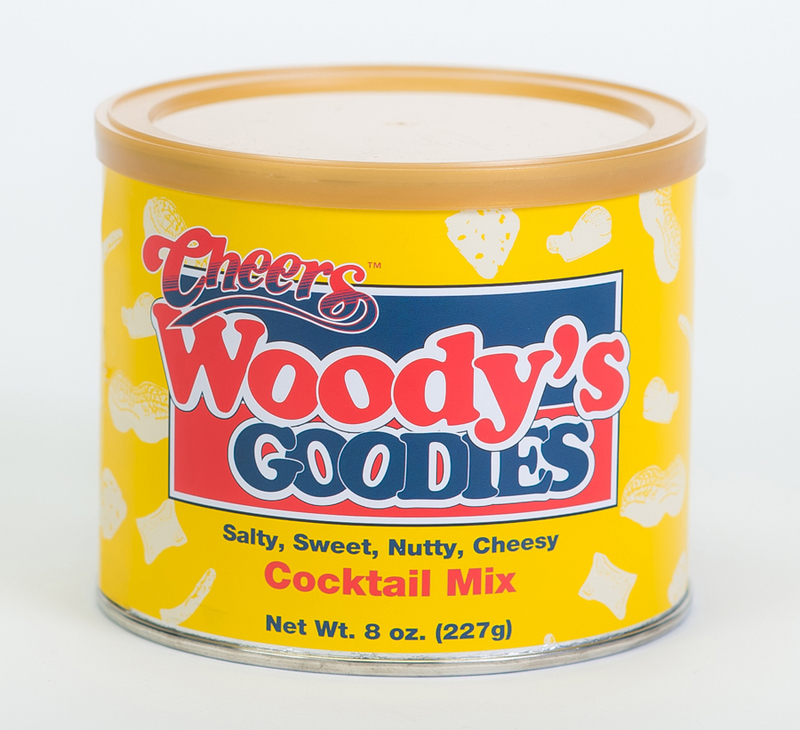 Check Out this Fantastic Stainless Steel Flask! 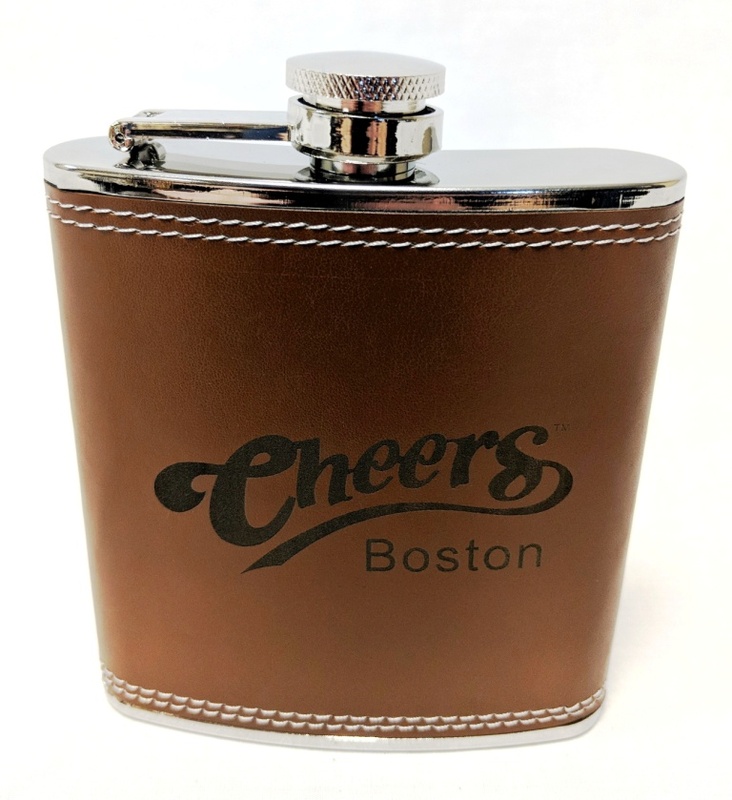 The Brown Leather wrapping not only looks great but it helps keep the contents insulated. 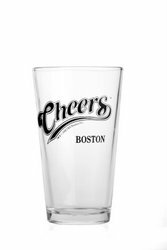 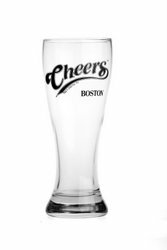 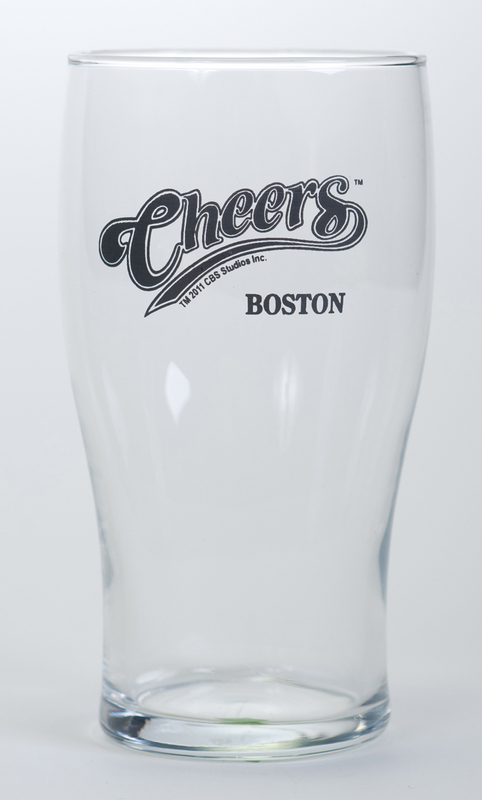 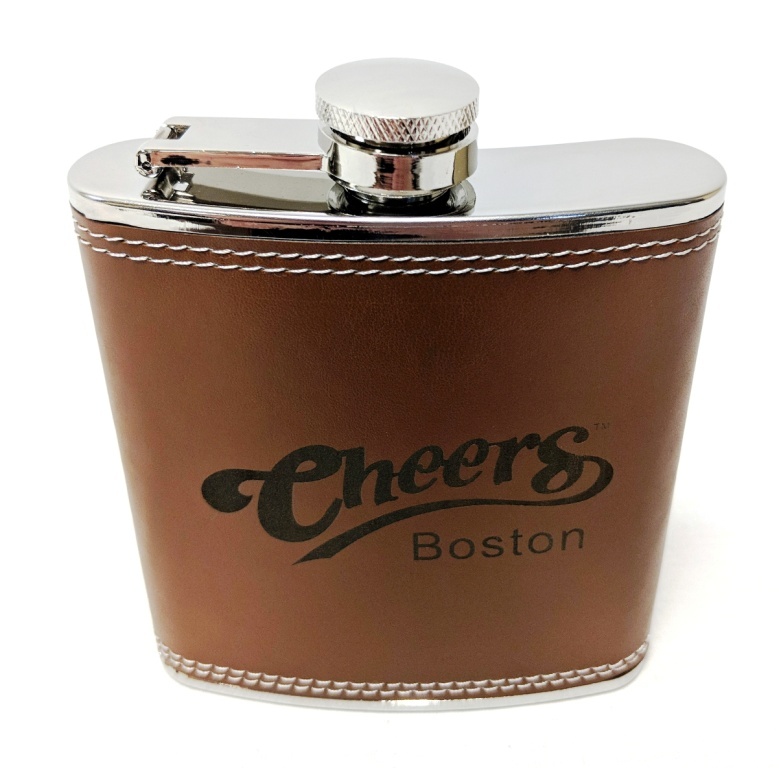 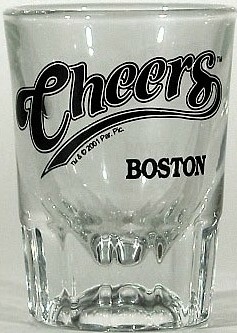 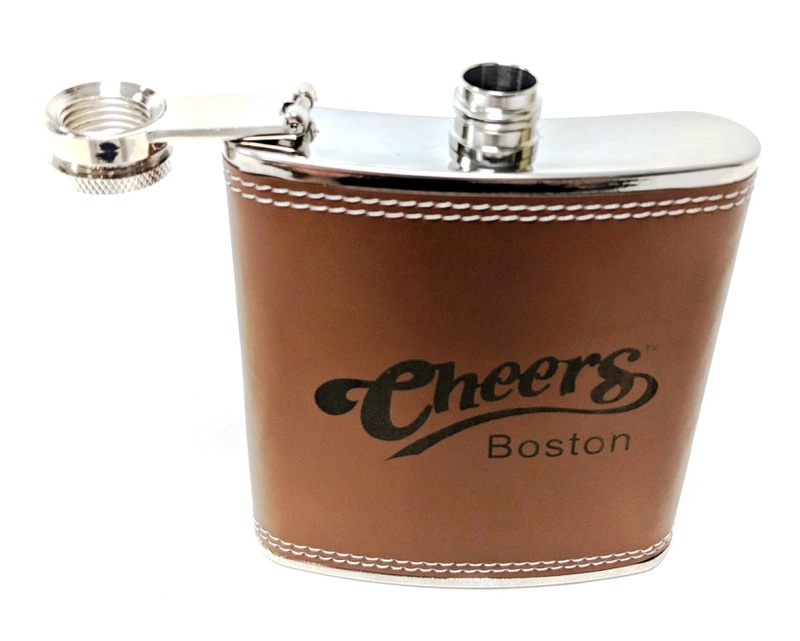 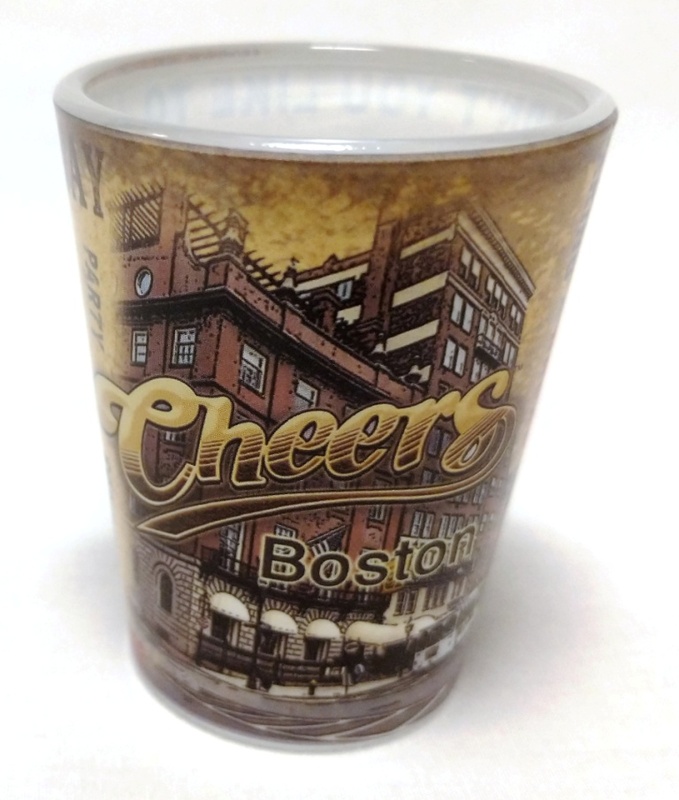 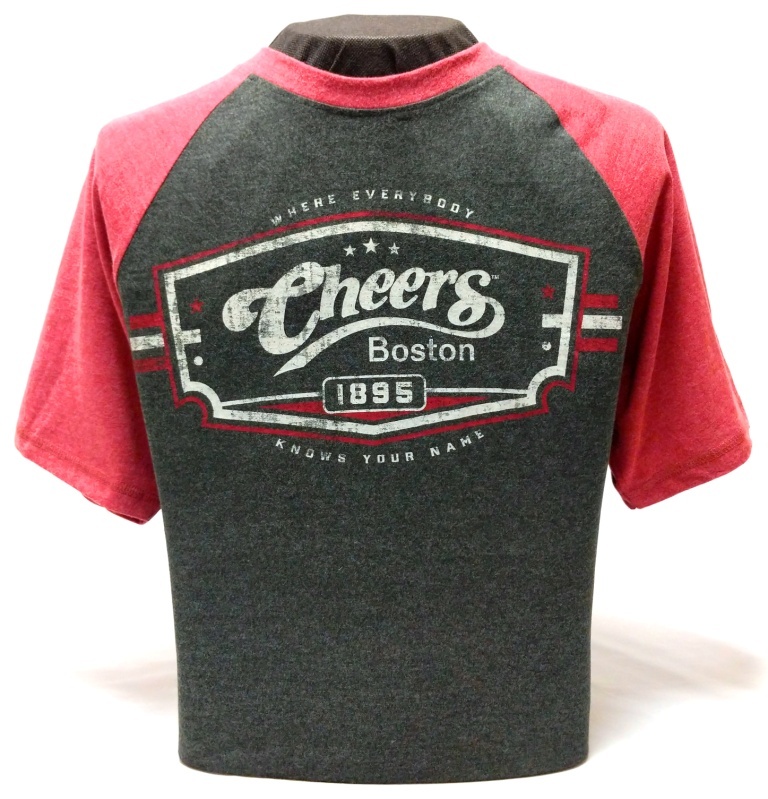 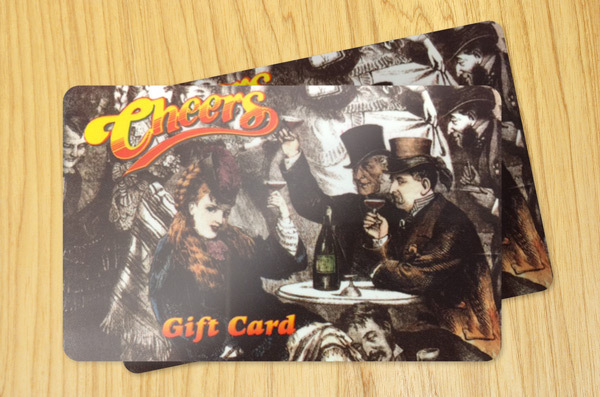 Decorative double-stitching accents the Laser Etched Cheers Boston logo.